1 Block off of the Las Vegas Strip just past the Mandalay Bay Hotel. I15 exit Blue Diamond two blocks north to Robindale turn right. 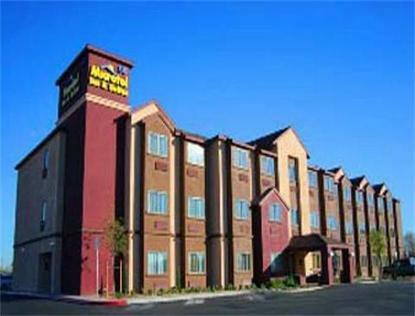 Full Hot Breakfast Buffet Microwave Refrigerators Coffee Makers Iron/Ironing Boards FREE Local/Long Distant Phone Calls/Wireless Internet PET FRIENDLY 1 Block off of the Las Vegas Strip just past the Mandalay Bay Hotel. I15 exit Blue Diamond two blocks north to Robindale turn right.